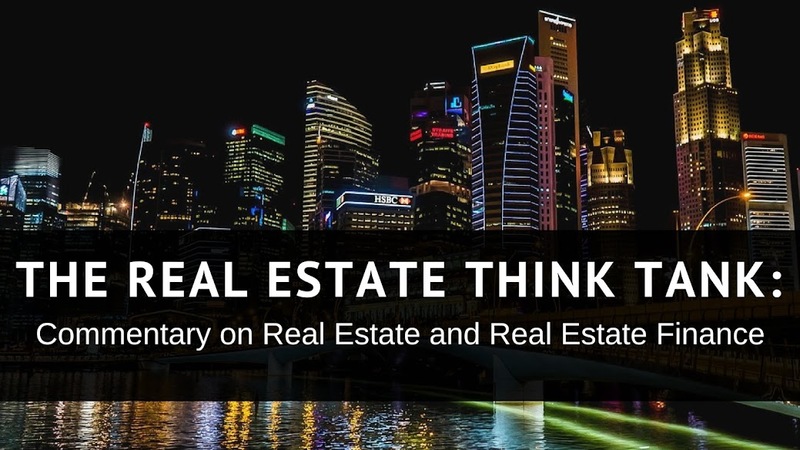 It is time for this blog to take another step toward legitimacy in the ever growing world of real estate blogs. I am now going to address the frequently used and highly touted real estate metric of Internal Rate of Return. I remember being mesmerized by IRR when I was first learning about commercial real estate metrics. It was introduced to me as the magic number that could explain the true return of a property. I have since learned to respect it as one of the many tools that can be used to understand the return value of an investment property or ABS, while understanding its limitations. In the interest of brevity, I am going to explain IRR as it pertains to investment property. I will not get into its uses in RMBS and CMBS bonds, as I will save that for a later post. I also will not go into detail on the iterative, successive-approximations technique by which the IRR value is derived. I am on the fence as to whether or not such a discussion would be helpful to this blog. Now that I have told you what I will not do, please allow me to begin my discussion of IRR. The Internal Rate of Return is such a well-respected metric in real estate valuation, because it allows one to derive the return of a set of cash flows in a matter that: 1) accounts for the time value of money, 2) is not sensitive to the size of the purchase price, 3) does not require one to independently find a discount rate. Essentially, the IRR expresses the discount rate necessary for a set of cash flows to set their Net Present Value (NPV) equal to zero. Let’s keep in mind that I explained in a previous post the NPV as the sum of a property’s present and future cash flows, discounted to present value by a chosen discount rate, minus the amount of the amount of the initial investment. If a NPV equals 0, that is an indication that the property is cash flowing at a given discount rate. The IRR of a property is that discount rate. The IRR is useful, in that it expresses a true rate of return for a set of cash flows that is comparable across property types and even asset classes. Despite its usefulness, however, it does have some limitations. The first of these limitations is that it can take some time to calculate an accurate IRR without computer software. The IRR is calculated by deriving the NPV of a property and successively guessing at the necessary discount rate, using each previous guess to guide the next guess. IRR’s are most easily calculated with the help of financial modeling software, such as MS Excel. The next and most major limitation of the IRR is that it creates “non-unique” or multiple solutions once negative cash flows are introduced into the calculations. Multiple “correct” results are typically not helpful when using investment metrics, which is why adjusted forms of IRR have been developed. Finally, the IRR does not give a true picture of the difference in value that results from comparing different investment opportunities that have different holding periods. In order to address the issue of non-unique solutions yielded by IRR calculations, a number of variations on the metric have been developed. One such modified IRR is the Financial Management Rate of Return (FMRR). The FMRR is a modification of the IRR that takes each negative cash flow and discounts its value at the risk free rate (typically the 10 or 30 year US treasury bill rate) back to the nearest positive previous cash flow, adding it to that cash flow to cancel out the negative value. The year in which the negative cash flow appeared is then given a value of 0 and all negative cash flows are similarly discounted and added to previous cash flows. The Modified Internal Rate of Return (MIRR) is another modification of the IRR that discounts all negative cash flows at the risk free rate back to year zero, adding them to the initial investment. Since the initial investment is already a negative number, it is simply increased by the value of all the discounted negative cash flows. The MIRR is the modified IRR formula used by Excel and other Microsoft products, making it more frequently used than FMRR. Another limitation of IRR is that it does not account for reinvestment, which is necessary when comparing two or more investment opportunities that have different timeframes. For example, if a one was deciding between buying and holding building A for 3 years and buying and holding building B for 10 years, one must take into account the fact that the proceeds of sale for building A will have been reinvested for 7 years at the time of the sale of building B. This reinvestment caused by the unequal timeframes of the two holding periods must be considered in comparing the investment opportunities. This is where Capital Accumulation Comparison (CpA) can come into play. Although CpA is not a measure of return, it does provide a method of comparing investment opportunities with different initial investments and holding periods. To calculate the CpA of a group of investments, one must discount all negative cash flows to the first pervious positive cash flow, using the risk free rate. Next, a reinvestment rate must be chosen. This rate can be chosen from the return rates of realistic alternatives for reinvestment. Then, each cash flow must be compounded at the reinvestment rate to the end of the longest holding period. Finally, the initial investment of each property must be subtracted from the cash flows. In the example above, the cash flows of building A in would be compound at the reinvestment rate to year 10. A similar process takes place when finding the CpA for properties with differing initial investments. The difference between the initial investments must be compounded at the reinvestment rate over the length of the longest holding period and then added to the value of the CpA of the property with the smaller initial investment. This process recognizes that for each opportunity to be truly comparable, the amount available to invest must be the same in both instances, but the portion of the initial investment that differs from the two properties must be reinvested. The final CpA numbers are expressed in future dollars in the same time period and are, thus comparable. So that is IRR, MIRR, FMRR and CpA. I credit Frank Gallinelli’s book on Cash flow for providing much of the info for this post.